become proficient with your equipment and make contact with like-minded patriots in your area. These are local range nets using FRS, MURS, CB (license not required) and 2m or 70cm (license required). If you do not have a Ham Radio license, you can still monitor the 2m and 70cm nets and check-in on FRS, MURS or CB during the CH3 project relays. AmRRON Members have access to a live Chatroom during the Schedule Nets. Use your AmRRON member password to access the AmRRON chatroom. If you can’t check in on the radio, or you are listening on a scanner, you can check in electronically using the Net Check In Form. If you don’t see an AmRRON net in your area, start one and it will be add it to the directory below. We have more and more nets!!! Please send my contact info to the AmRRon member who is heading up the Sacramento net. I would like to give them whatever help they may need to be successful here locally. Thanks! Is there any more info required for the Sacramento net; 146.610 – 136.5 tone? Anything else I need to program into CHIRP?? Please change the 2m Owyhee Co. voice net to say SW Idaho as we also cover Canyon and Ada Counties. Thanks. I monitor the frs/murs channel 3 in Maricopa County every wednesday, but always the fourth wednesday. If someone would like to help out running the new Northern IL nets, please let me know. I have a rotating work schedule so I won’t always be in the area when the net should be up. How is your Northern Illinois Net doing???? One started up in Lake County this summer on 146.420. but there wasn’t many check-ins. Like two of us. My QTH is Lake Villa, Il. QTH is EN52jw Might hit your AO simplex with a 2m yagi. Now that the days are getting shorter would anyone like to get a net going on the state line area???? If you are looking at the local nets chart, Il Lake Co is a simplex net every wednesday at 19:30. Being a simplex net, you may or may not be able to hear it. any nets in Houston Texas? HF Nets cover the entire continent. There are no known local nets in Houston at this time. Sounds like there’s an opening for NCS in Houston! I have a tech. license and do 2 meter and 70 cm. What happened to the Flathead County, MT net? Unfortunately we need someone to step up and get that going again. Anyone? There is also a net for the Glendale, AZ/Maricopa County, AZ area for the second wednesday of the month at 1800 and 1830 hours local for murs/frs/cb channel 3 program. This is in addition to the one on the fourth Wednesday of the month. Warthog, looks like these nets are posted in the net schedule. Let us know if any updates need to be made by emailing nets@amrron.com . Thanks for running your local nets! I am in Sacramento County and might be interested in the NCS. Can i get more info? And also forward my contact to the current NCS. I’d like to ask about the repeater coordination. Anyone running an echolink node? I’d be interested in setting one up.. we could link our areas for those who don’t have HF capabilities. I would like to get a net going in the Ft. Meade area of Maryland. 2 meter or FRS would be best. If you live in the Ft. Meade, Piney Orchard, Odenton, Severn, Gambrills areas or anywhere else near Odenton contact me. Hello Mike Hotel-03, I just saw your comment. Can you please complete this form and we can get your net added to the net schedule. Thanks for stepping up and starting a net! IL-Rockton nets: 2nd Thursday of each month. CA-San Diego nets: 1st and 3rd Tuesday of each month. Tango Whiskey-03, The San Diego net has been added to the net schedule. Thanks! Submitted a request to include the Georgia Preppers Network HF Net! Does anyone know if the Dallas tx scheduled net on 147.180 107.2 is still on Wednesdays at 0100 zulu. 8pm I have been trying to make contact. I plan on starting a local net around Knoxville TN. I am new to HF and even newer to 2M so I would appreciate any and all help. Thanks for stepping up! You’re in the right place, so welcome aboard. The regularly-scheduled AmRRON and TAPRN nets will be a huge help, especially if you’re in the chatroom while the nets are going on. The ‘Starting a Net’ page at https://amrron.com/net-resourcestools/join-or-start-a-net/ should get you off to a great start. Don’t forget to check out the PDF file that’s linked there as well. It should answer a lot of your questions. Keep us posted! is chatzy not working keeps telling me wrong password. It should be operational now. Thanks. i noticed none in michigan .. i planon starting one for the state and several small ones.. one for each zone ..i am a maj in the michigan 3% comms for the whole state .. AMRRON fits perfect any help would be apreciated..
We are starting a new Net in NC. John, I have submitted the information. I see that you are in Rowan. We have a few folks in Meck that were going to start a net as well. I’m pretty sure we can hit your repeater, will check tonight and maybe try to check into your net on Monday. Once we get a little more organized here, we’ll start up a Meck Net. I’d ultimately like to get one running 2M simplex if possible. I don’t see you in the directory as “Rick”. If you’d like to coordinate, please shoot me a contact request via amrron contact relay. thx Zulu02. Zulu-02, I can forward your contact info to “rick”. Zulu-02 Thanks for the “Z” net contact. Feel free to give me a yell. yes, we have several people I hear on our repeater from your area. I would think you should be able to hear it. Are you part of Oath Keepers? Thanks Polly-01, I think we’re connected at this point. Good deal, I’ll connect with you on Znet. I joined OK a few years ago but am not active. Looking forward to building up our NC nets and membership. Filled out the local net form a couple months ago for our Thursday net in Western, KY but I still don’t see it listed. Do I need to do it again? New member here in orangevale, ca. Sacramento area. Need info or contact to join the net here. Workin on tech license presently. VHF/UHF via a UV5. Also, remember to use your AmRRON code name in any correspondence, including emails and when posting comments. Thanks, and welcome aboard! I sent this originally as a PM. Would anyone in the Tulsa area be interested in a Sunday evening Net prior to TAPRN? say 0100z? Maybe a 2m simplex, and a 10M rtty, or even a 40m OK, TX, MO, AR, KS regional type NET, Tulsa being center? during this time the TAPRN regional digital NET occurs on 1st and third Sundays as well. I see a local net in Anderson Texas. Is that the town of Anderson in Grimes Co or is that in Anderson Co? I just checked with the nc station for this net, he says its “Palestine in Anderson County”. Just started a new net in Grimes County Texas on 1st Wed of the month. See the calendar for information. Houston members should easily hit repeater if interested. Glad I was able to connect in the Sacramento area last night; looks like there are more than a few out there where I live!! Please feel free to contact me in advance with your suggestions and interest. Thank you for stepping up to get a local net started! There is protocol in place for Net Control Stations and starting up new AmRRON nets. Here is the link- https://www.amrron.com/net-control-page/ Once approved, your net will be added to the AmRRON Net calendar so operators in your area will see there is a local net! Please update the Marion/Kalispell net for Flathead County in Montana to read every Thursday instead of the 1st & 3rd.Thank You! Can you please fill out the Net Update form located here —> https://www.amrron.com/scheduled-nets-update-request/ Thank you for keeping us updated and for stepping up as NCS! wish there were central florida nets!!! I don’t see any nets in Indiana. Does anyone know of any? I see a New Mexico Net, but there is no Washington County in NM, Well at least the last time I checked! Will the net owner please clarify? Thank you. We sent an inquiry to the net owner for clarification. UPDATE- The net is in Minnesota. It has been updated. Thank you for bringing that to our attention. How can I get in contact with the NCS for the NY Orange County net? A contact request had been submitted. The volunteer that handles that, will forward your contact information to the NCS of the NY Orange County Net. You will be notified once that request has been sent. Never heard back from NCs. I don’t believe the Orange county local nets are active. If anyone knows otherwise, please let me know. Hi all, just checked the net schedule and I can’t believe there isn’t a net in the entire state of Florida. Did I miss something? I tried the Hillsboro Oregon 2m net tonight but found no traffic. Is this net normally up and running? 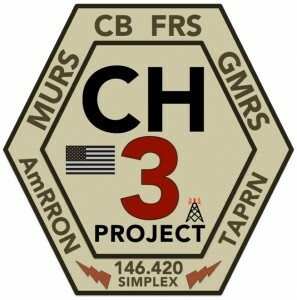 I am in the Baker City Oregon area and monitor Ch 3 cb also 146.42 and repeaters 145.27 – 110.9 which will reach east into Idaho and 146.8 – 123.0 which will reach north into Washington on 2m. Evenings and weekends. Need one in south east Iowa. W7LPN- I will be joining the SW Idaho Amrron net on 146.880. I was very impressed with you repeater coverage. Very professional net. Look forward to getting more involved. I’m starting a local net in Sedgwick Co. Kansas. I’ll be on 146.420 on the first Saturday of the month at 9PM CST and on FRS ch. 3. Sometimes I’m monitoring on FRS 3, 446.0, 223.5 and/or 146.52 on many evenings.